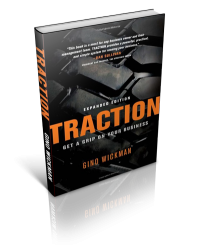 Giving good advice can be helpful, but giving business leaders and managers great simple and proven tools provides them with everything needed to build and run a great business. Get their entire organization on the same page, embracing where the organization is going and how the organization will get there. Hire and retain great people, with every person in a seat that matches their abilities, clearly understanding the role(s) they play in achieving the company vision. Maintain an absolute pulse on the business, knowing precisely where the company is at any time and more accurately predicting where the company will be in the future. Solve problems as they arise and at the root cause, so they don’t keep resurfacing. Create real consistency, especially in delivering a positive customer experience, so everything is easier to manage, more scalable, more profitable and more fun or gratifying for everyone involved. Improve communication, discipline and accountability throughout the organization so the organization excels at making progress and getting things done well and on-time. The EOS Toolbox™ is a complete set of tools, addressing and strengthening all six of the key components of any business. These management tools for business leaders are, by design, easy to learn and use, because complexity reduces effectiveness. Finally, every tool in the EOS Toolbox™ has been proven in the real world. There’s no theory here or flavor-of-the-month gimmicks. Each tool is in the toolbox because it’s the best tool we’ve found for strengthening a particular key business component – the tools work! The EOS Model™ provides a visual illustration of the Six Key Components™ of any business that must be strengthened to be a great business. The EOS Model™ helps to simplify the way you see your business and sets the context for becoming a great company. The EOS Process™ puts all the pieces together, incorporating each of the EOS Tools in the right order to best strengthen each key component of your business. The EOS Process™ is our proven way of helping you apply the right tools at the right time to get you the results you want. Why EOS® Works. Find Out More here. Click Here - Why EOS®? Contact My Assistant for Scheduling Speaking Engagements & Educational Workshops for The Kurzen Group. get more of what you want from your companies. 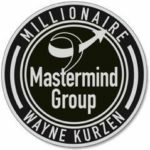 © 2018 EOS Implementer™ - Wayne Kurzen.